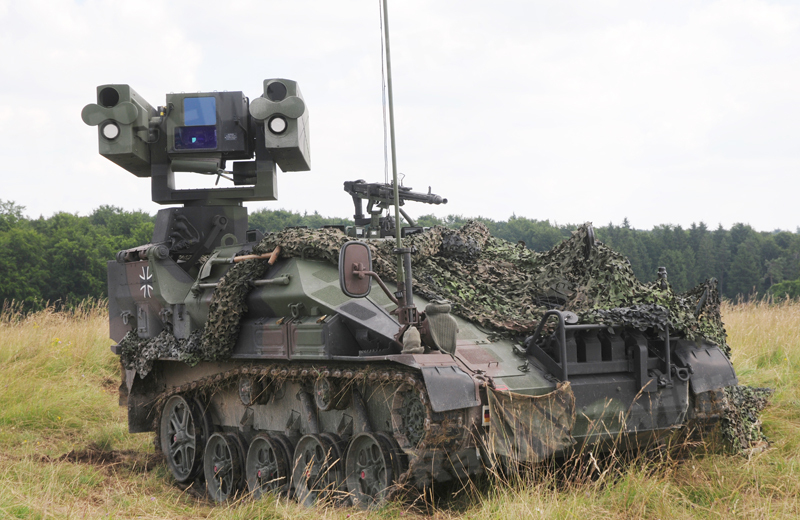 The Ozelot air defence missile carrier is the core component of the Light Mechanized Short Range Air Defence System of the Bundeswehr. The pedestal can be raised, traversed 360° and elevated in a range from -10° to +70°. On the sides of the pedestal the two Multi Launch Systems are mounted that can accomodate four ready to launch Stinger missiles Four additional missiles are carried in an ammunition storage box at the rear of teh vehicle. The launch unit features the OPHELIOS thermal imaging system, CCD daylight camera and a laser rangefinder. 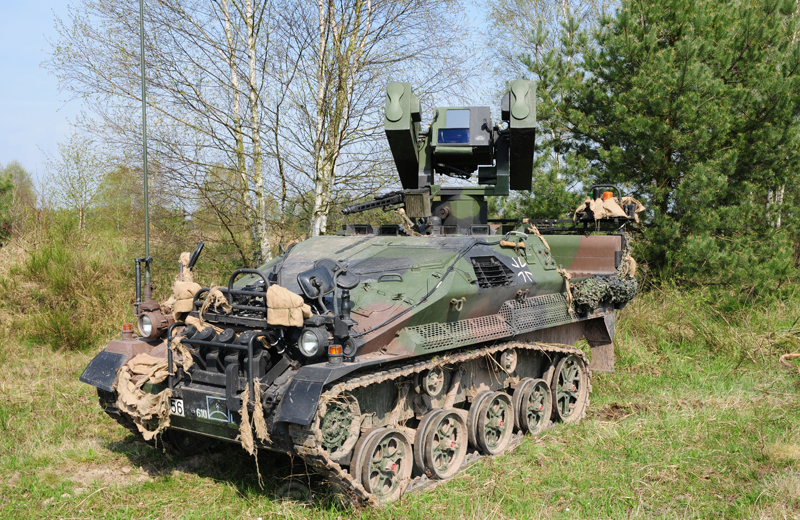 The Ozelot air defence missile carrier can be used without the support of the AFF Wiesel. For this purpose the two-man crew can field the passive Infrared Search and Track (IRST) system. 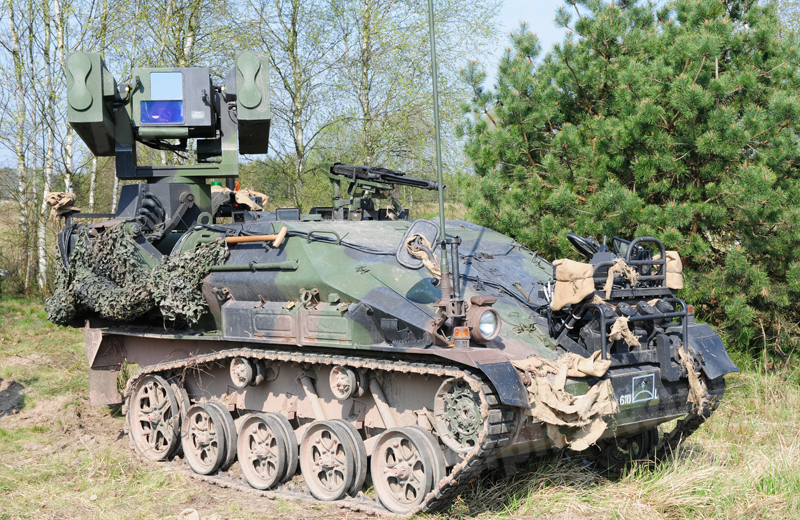 At the moment the German Air Force fields a total of twelve Ozelot air defence missile carriers in the two platoons. 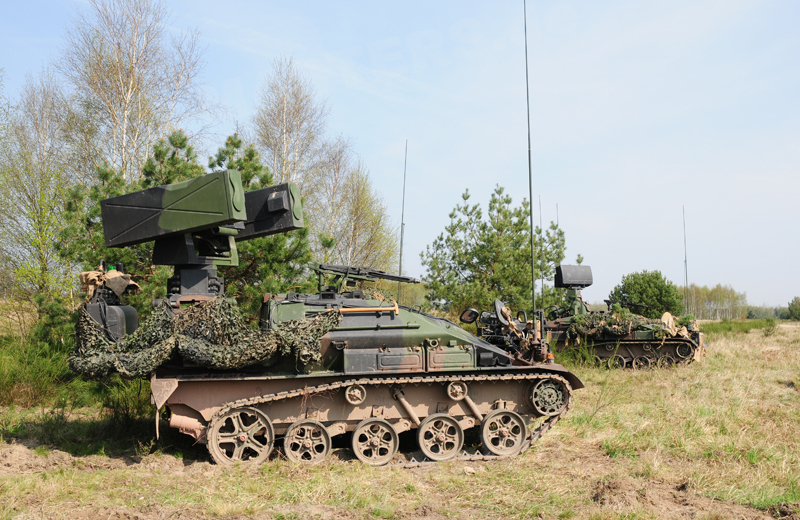 The armament conists of eight Stinger missiles, a 7.62mm x 51 MG3 machine gun and a 76mm smoke discharger system with four launchers.